In the current study, we aimed to develop a novel injectable thermosensitive hydrogel for simultaneous intra-tumoral administration of paclitaxel (PTX) and doxorubicin hydrochloride (DOX). At first, mixed micelles composed of Pluronic F127 and α-tocopheryl polyethylene glycol 1000 succinate (TPGS) was loaded with PTX and their physicochemical properties including particle size, zeta potential, drug loading content, entrapment efficiency, and the drug release were investigated in details. In the second step, the optimized PTX-loaded micelles prepared in the first step were incorporated into the thermosensitive Pluronic F127/hyaluronic acid (PF127/HA) hydrogel containing fixed amount of DOX. Gel formation temperature, rheological properties, injectability, degradation rates of the hydrogel, and the release rate of PTX and DOX from the hydrogel were examined. The mean particle sizes and zeta potentials of the PTX-loaded micelles were 157.5 ± 20.1 nm and -9.6 ± 1.1 mV, respectively. The entrapment efficiency of the formulation was about 51%. The hydrogel containing PTX-loaded micelles and DOX existed as a solution with low viscosity at 4 °C converted to a semisolid upon increasing the temperature to 35 °C. DOX was completely released from the hydrogel within 12 h, while 40-80% of PTX could be released from the different formulations during 3 days. This novel thermosensitive hydrogel prepared in the current study could be efficiently used for co-delivery of PTX and DOX in solid tumor types. Despite some advances in cancer therapy, chemotherapy has so far remained as the most common approach for treatment of cancers. Recently, combination chemotherapy using two or more drugs compared to single-agent chemotherapy, has become a preferred strategy for cancer treatment ,. Combination chemotherapy may offer some unique advantages such as signaling different pathways, improving therapeutic efficacy, and suppressing and reversing drug resistance . While the combined regimens could promote the cancer cells response, increasing toxic effects would be accompanied with the systemic combination chemotherapy and could result in the failure of the treatment . Thus, many attempts have been devoted to establish targeted nano-materials delivery systems such as polymeric nanoparticles ,, liposomes , and lipidic nanoparticles  to target the tumor tissue and reduce the systemic side effects. However, this challenge has remained to efficiently hamper the non-specific uptake of anti-tumor cytotoxic drugs to healthy organs following intravenous administration. For instances, in the most of earlier published reports ,, regarding the in vivo distribution of targeted and non-targeted antitumor drugs-loaded nanoparticles, the drugs were mostly accumulated in non-targeted tissues especially reticuloendotelial system such as liver, kidneys, heart, and lung. Therefore, localized delivery has been considered as an alternative way to diminish the drug levels in the non-targeting sites. Local tumor treatment by using controlled release polymers which are placed in tumor regions would result in high local drug concentrations, minimized unwanted systemic toxicity, and more patient compliance . Furthermore, prolonged exposure of tumor cells to chemotherapy by using localized controlled release formulations has been demonstrated to be more cytotoxic than bolus delivery for most drugs and reduce the incidence of local recurrence . Some controlled release drug delivery depot systems have been recently developed for implantation directly to the tumor tissues such as drug eluting films , gels ,, wafers , and particles ,. The polymers used in these systems can be derived from natural or synthetic polymers. Natural polymers such as alginate, hyaluronic acid (HA), dextran, gelatin, and chitosan have been broadly used for drug delivery applications. For instances, Gliadel® is a biodegradable polymeric wafers containing carmustine which has been inserted intra-tumorally after primary surgery in patients with malignant glioma recurrent . The results revealed that treatment with Gliadel® prolonged patient survival and reduced the recurrent of the tumor. Pradilla et al. developed biodegradable microspheres named Paclimer® for intra-tumoral delivery of paclitaxel (PTX). In vivo studies in rats with ovarian cancer demonstrated therapeutic efficacy of this novel formulation and now this formulation is under phase 1 clinical trial . Recently thermosensitive hydrogels have attracted many attentions for localized controlled drug delivery as they can be utilized without invasive surgery. Hydrogels are liquid at room temperature and can be injected locally, while upon exposure to the body temperature they solidify into a hydrogel drug depot . In the current study, we aimed to develop a novel thermosensitive hydrogel for simultaneous intra-tumoral delivery of PTX and doxorubicin hydrochloride (DOX). PTX and DOX are broadly used chemotherapeutic drugs, due to their excellent anti-tumor efficiency against various solid tumors. However, they have very different solubility characteristics and different anticancer mechanisms . PTX is a highly hydrophobic agent, which exerts anti-cancer effect by inhibiting microtubules disassembling and promoting the formation of unusually unstable microtubules, thereby disrupts normal cell proliferation and causes cell apoptosis . Conversely, DOX is a hydrophilic cytotoxic agent which binds to DNA and induces a series of biochemical events inducing apoptosis in a number of different tumor cells . Some clinical studies have demonstrated that regimens containing both DOX and PTX, could more efficiently increase regression rate of cancer cells compared to the individual drugs ,,. However, intolerable and severe side effects observed in systemic co-delivery of DOX and PTX, has restricted the clinical use of this combination. Moreover, PTX and DOX are subjected to the permiability-glycoprotein (P-gp)-mediated efflux pumps that are expressed on the surface of cancer cells . P-gp effectively ejects drugs from intracellular side and it is the main mechanism of cancer cell resistance to cytotoxic agents. Here we developed a thermosensitive hydrogel containing HA and Pluronic F127 (PF127) for localized co-delivery of DOX and PTX overcoming resistant cells. To solubilize PTX in the hydrogel, the drug was loaded into the mixed polymeric micelles composed of PF127 and tocopheryl polyethylene glycol 1000 succinate (TPGS) and then PTX-loaded optimized mixed micelles were incorporated into the hydrogel which already contained hydrophilic DOX. TPGS is a water-soluble derivative of natural Vitamin E, which is synthesized by esterification of α-tocopheryl succinate (α-TS) with polyethylene glycol 1000 (PEG) and has been approved by Food and Drug Administration (FDA) as a safe pharmaceutical adjuvant used in drug formulations . TPGS has an amphiphilic structure, which forms micelles in aqueous media. PTX has a high solubility in α-TS (11 mg/mL) which enhances polymer-drug miscibility thereby improving drug loading into the micelles . In addition, TPGS by inhibiting P-gp could facilitate permeation of the drugs to the cells, leading to increased cytotoxicity and bioavailability of antitumor agents. It has already proven that TPGS could effectively inhibit the growth of cancer cells by its ability to induce apoptosis ,,. Thus, it is postulated that incorporation of TPGS in delivery system could greatly enhance the therapeutic effects of the formulated anticancer drugs. Therefore, this work focuses on optimization of PTX-loaded PF127/TPGS mixed micelles, incorporation of the optimized amount of PTX-loaded mixed micelles into the hydrogel already containing 2 mg/mL DOX, and characterization of the hydrogel engrafted with the micelles in terms of rheological properties, degradation rate, and release patterns for both drugs. PTX, DOX, hyaluronic acid (HA, molecular weight (MW) = 100-150 kDa), PF127, polyoxyethylene-polyoxypropylene-polyoxyethylene tri-block copolymer, MW = 12.5 kDa), and hydroxypropyl methylcellulose (HPMC) K4M were purchased from Sigma Chemical Co. (St. Louis, MO). TPGS was procured from Eastman Co. (USA). Potassium dihydrogen phosphate and sodium hydroxide were bought from Merck (Darmstads, Germany). HPLC grade methanol and acetonitrile were supplied by Caledon (Ontario, Canada). The hydrogel was prepared by dissolving of PF127 in deionized water under continuous stirring at 4 °C to obtain a clear solution with concentration of 20% (w/v). Then, HA and HPMC K4M were added to the PF127 blends at 4 °C and at concentrations of 2%, and 1% (w/v), respectively. The transition sol-gel temperature of solutions with low viscosity was determined using the tube inversion experiments. 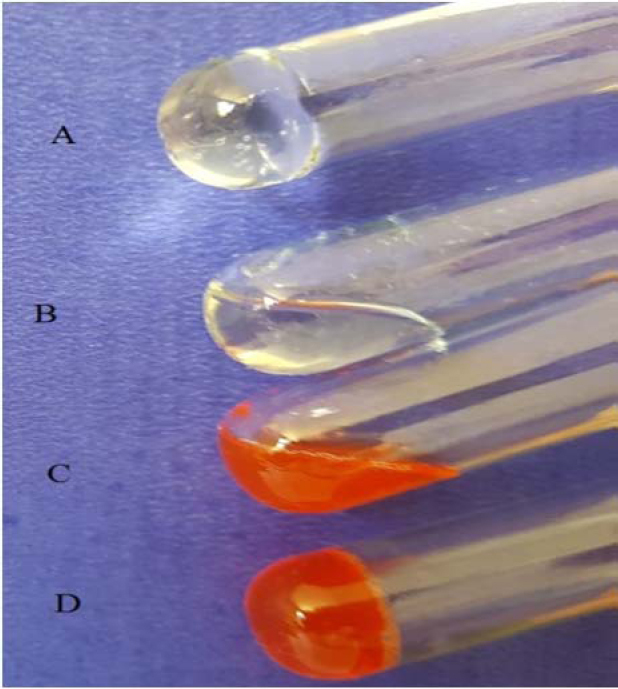 Test tubes containing 1 mL hydrogel solutions were put in a water bath with continuous increasing of temperature from 5 °C to 40 °C at a heating rate of 1 °C/min. The gel formation temperature (GFT) was determined by inverting the test tube when no fluidity was visually observed in 1 min . The rheological behaviors of the PF127/HA system and PF127 were investigated by studying their viscosity as a functions of temperature and time in a digital rotary viscometer (RVDV-III U, Daiki Sciences Co. USA) . After incubation at 4 °C for 3 h, the cold aqueous solutions (25 mL) were put into a glass container which was attached to a controllable circulation water bath, respectively. Before each measurement, the temperature was stabilized for 10 min, and the interval for measurement was 0.2 °C. The freeze-dried samples were prepared by immerging a polytetrafluoroethylene tube containing PF127/HA solution into liquid nitrogen for several minutes to let them freeze, and then the frozen sample was lyophilized by a freeze drier (Christ Alpha 4.2 LD over, Germany) at -40 °C and a pressure of 0.4 bar for about 48 h. To study the thermo-responsive behavior, the powder of the dried polymer was first equilibrated in deionized water at 4 °C, and then temperature was increased to 40 and 50 °C. PTX-loaded micelles were prepared via evaporation technique as described previously . Briefly, 3 mg PTX and 10 mg polymer mixture (7 mg PF127 and 3 mg TPGS) were dissolved in dichloromethane. The organic solvent was then removed by rotary vacuum evaporation. The resultant film was hydrated with a suitable volume of deionized water, incubated at 37 °C for 30 min, and then sonicated (JY 92-II Ultrasonic Processor, Shanghai, China) for a few minutes. The micellar solution was centrifuged at 7000 rpm for 10 min, and filtered through a 0.45 μm pore size microfiltration membrane. The drug-loaded micelles were lyophilized (Freeze Dryer Model ALPHA 2-4 LD plus; Christ Company, Stuttgart, Germany) and kept at 4 °C until further evaluations. The size and zeta potential of the micelles were determined by dynamic light scattering using a Zetasizer (3000HS, Malvern Instruments Ltd., Worcestershire, UK).To estimate the drug loading (DL) content, 2 mg of the lyophilized sample was transferred into 50 mL acetonitrile and ultrasonicated for 10 min to dissociate the micelles and dissolve PTX. The resultant solution was filtered through 0.45-mm filter unit and PTX concentration was analyzed using HPLC method developed and validated in our laboratory . The apparatus used was a Waters HPLC system model 746 (Milford, US), consisting of a model 515 intelligent solvent delivery pump, a 100 μL injection loop, a computerized system controller and a Waters 2487 UV detector. Chromatographic separation was performed using a reversed-phase C18-μBondapak (3.9 × 250 mm) column. The mobile phase consisted of potassium dihydrogen phosphate (0.01 M)/acetonitrile (52:48) with final pH adjusted to 3.5 ± 0.1 with orthophosphoric acid. The mobile phase was eluted at the flow rate of 1.5 mL/min and the effluent was monitored at 227 nm. Column temperature was kept at 40 °C and 30 μL of the sample was injected into the HPLC column. Release study of the drug-loaded micelles were performed in 100 mL PBS (0.1 M, pH 7.4) containing 0.2% Tween 80 to provide sink condition with agitation of 200 rpm at 37 °C. Samples were taken from release medium at pre-determined time intervals and replaced with fresh buffer. The content of PTX was determined by the above-described HPLC method. Transmission electron microscopic (TEM) images of the drug-loaded micelles were taken with a transmission electron microscope (EM10C, Germany) operated at an accelerating voltage of 80 kV. X-ray diffraction (XRD) was performed using an X-ray powder diffractometer (Geigerflex, Rigaku Co., Tokyo, Japan) with Cu ka radiation in the range of 3-50 °C (2y) at 40 kV and 40 mA. Samples were scanned at a scanning speed of 1.5°/min and step size of 0.02 °C. DOX/PTX-embedded hydrogels were obtained by dispersing freeze-dried micelles at equivalent PTX concentrations 2, 4, or 6 mg/mL and dissolving DOX at fixed concentration 2 mg/mL into PF127/HA solution at 4 °C. GFT, rheological properties, and degradation rates of the hydrogels were examined as described in previous sections. Membraneless diffusion system was used to study the release pattern of the drugs from the hydrogels as reported previously . 1 mL of hydrogel solutions containing DOX and PTX-loaded micelles in different concentrations were placed in a 25-mL flat-bottomed glass beaker followed by addition of 10 mL PBS 0.1 M, pH 6.8 containing 0.2 % Tween 80 on the surface of the gels, and then the vial was shaken in water-bath shaker under 37 °C at 40 rpm. At appropriate intervals, the entire environmental buffer solution was replaced with fresh PBS to maintain sink condition. Aliquots of 2 mL sample of the supernatant solution were withdrawn at predetermined time points and replaced with 2 mL fresh buffer. The concentration of the released DOX in the removed PBS was determined using a UV-visible spectrophotometer (UV-mini 1240, Shimadzu, Kyoto, Japan) at 483 nm. Unloaded hydrogel was used as the control. A linear correlation (r2 > 0.996) was obtained over the range of 1.5-12 μg/mL. High precision and accuracy were also obtained (CV%: 3.2-15.8%, error%: 0.43-13.6%). HPLC method was used to determine the released amount of PTX in dissolution medium as described earlier. The solutions of the optimized drugs loaded PF127/HA solution was stored in sealed flasks at 4 °C for three months. After one week, one month, and three months, samples were examined for GFT, rheological behaviors, and the drug release profiles following the protocol described earlier. The setup of the apparatus with chicken meat model used to determine injection force . The measurement of the injection force was performed by a compression mode of a Texture Analyser (Stable Micro System®, Vienna Court, UK) and the average force from at least 3 measurements was calculated by the software (Texture Expert Exceed Version 2.12). A 2-mL syringe was filled with the HA/PF127 solution at room temperature and the plunger end of the syringe was placed in contact with a load cell (500 N). The needle used was 21G with 0.8 mm in diameter and 40 mm in length with the injection speed of 100 mm/min. Fresh chicken meat was used in order to simulate the injection into subcutaneous tissue and muscles. To determine the injection force of the formulation into a subcutaneous tissue, the needle was inserted 0.254 cm underneath the chicken skin. For determination of injection force in muscular tissues, the needle was inserted 1.27 cm under the skin. The injection force obtained from the texture analyzer was used to predict the ease of injectability of the formulation. The physicochemical characterizations and the drug-loading percent of PTX-loaded PF127/TPGS mixed micelle were determined. PTX was efficiently encapsulated into the core of the micelles reflected by the 51.2 ± 2.48% EE and DL percent of 11.7 ± 0.9. The size, polydispersity index, and zeta potential of the drug-loaded micelles were 157.5 ± 20.1 nm, 0.33 ± 0.07, and -9.6 ±1.1 mV, respectively. 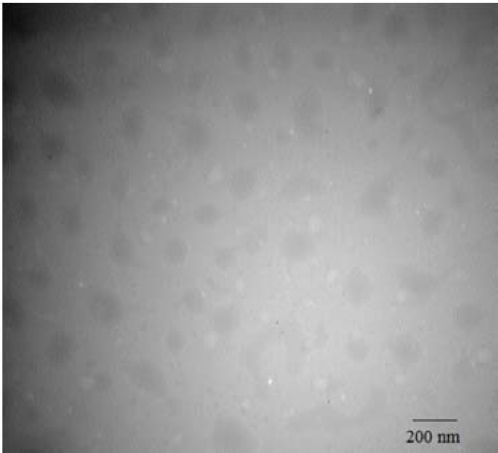 TEM images of PTX-loaded micelles [Figure 1] revealed nanoparticles with spherical shape and approximately 130 nm sizes, which was close to the size obtained by photon correlation spectroscopy. In vitro release study indicated that approximately 30-40% of PTX was released within 20 h at 37 °C followed by a sustained manner and almost 80% of the drug released during 3 days (data are not shown). XRD was used to further characterize the drug-loaded micelles. Figure 1: Transmission electron microscope (TEM) image of paclitaxel (PTX)-loaded Pluronic F127/α-tocopheryl polyethylene glycol succinate micelles. As shown in [Figure 2], diffraction characteristic peaks of PTX [Figure 2]A were visible in the diffractogram of PTX, TPGS, and PF127 physical mixture [Figure 2]B, while was disappeared in the pattern of PTX-loaded micelles. This demonstrates that PTX is either in its molecular or in an amorphous state, which disappears in the polymer after lyophilization. 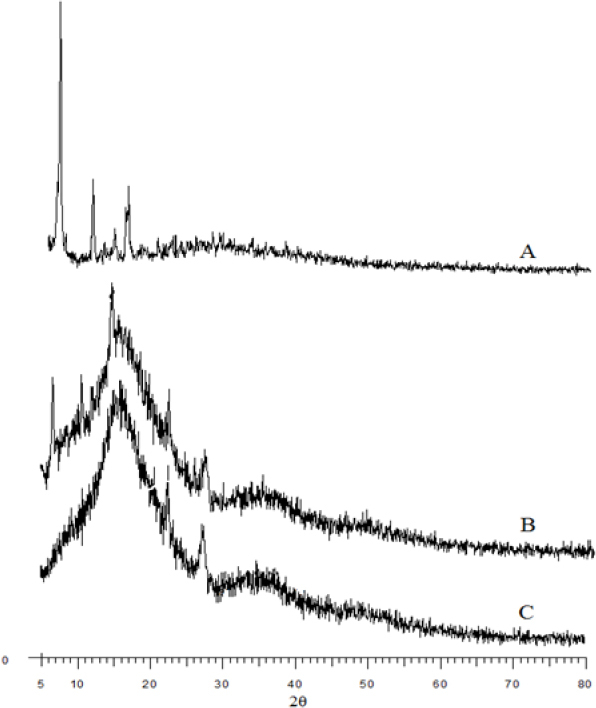 Figure 2: X-ray diffraction spectra of (A) paclitaxel (PTX), (B) physical mixture of PTX, α-tocopheryl polyethylene glycol succinate (TPGS), and Pluronic F127 (PF127), and (C) PTX-loaded PF127/TPGS. PF127/HA existed in a sol at room temperature which was converted to a semisolid gel when the temperature was increased to 35 °C. The in vitro morphology of the PF127/HA hydrogels before and after incorporation of DOX and PTX-loaded micelles are shown in [Figure 3]. Gel formation was also traced through the viscosity of the systems, which was significantly increased during gelation process. [Figure 4] illustrates the temperature-dependent gelation of DOX/PTX-embedded PF127/HA hydrogel. The drugs-loaded sol system began to transfer to gel state at 33 °C and the viscosity increased to 8000 cP at 35 °C during 15-20 seconds. In particular, the freeze-drying process did not hamper the gelation behavior of HA/PF127 and only the gelation time was increased to 120 s (data are not shown). Figure 3: Visual observation of the hydrogel system. (A) Pluronic F127/hyaluronic acid (PF127/HA) gel at 37 °C, (B) PF127/HA sol at room temperature, (C) PF127/HA sol containing doxorubicin (DOX) and paclitaxel (PTX)-loaded micelles at room temperature, and (D) PF127/HA gel containing DOX and PTX-loaded micelles at 37 °C. 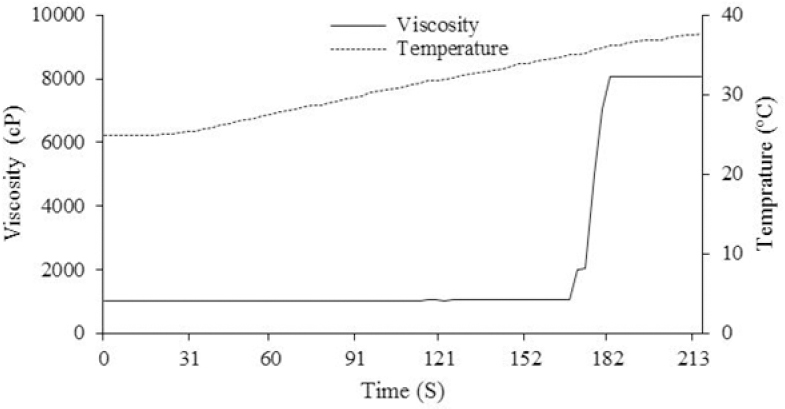 Figure 4: Effect of temperature on the viscosity of Pluronic F127/hyaluronic acid hydrogel containing doxorubicin (DOX) and paclitaxel (PTX)-loaded micelles. [Figure 5] shows the erosion behaviors of DOX/PTX-embedded PF127/HA hydrogel at 37 °C. The hydrogel maintained 75% of its original weight over 5 days. Figure 5: The mass erosion behaviors of the hydrogel system containing doxorubicin (DOX) and paclitaxel (PTX)-loaded micelles. Data are represent as the mean ± standard deviation (n = 3). [Figure 6]A and [Figure 6]B shows the cumulative release of DOX and PTX from different formulations, respectively. The cumulative drug release profiles of PTX from the hydrogel engrafted with PTX containing PF127/TPGS micelles were significantly slower than for DOX in all formulations as expected. As shown in [Figure 6]A, DOX was entirely released within 12 h and the DOX release rate was not affected by the amount of initial PTX loading in the hydrogels. Since the release profiles of DOX from different hydrogels containing various quantity of PTX did not differ from each other, only DOX release profile of DOX/PTX-loaded PF127/HA system with 4 mg/mL-loaded PTX is illustrated in [Figure 6]A. In contrast, the initial PTX loading substantially affected the PTX release rate being reduced at higher drug loading [Figure 6]B. This resulted in 80% cumulative release for the 2 mg/mL-loaded gel compared to a 40% cumulative release for 4 mg/mL-loaded gel after 3 days. However, the initial burst effect was higher (32% during 10 h) for 6 mg/mL-loaded gel compared with 4 mg/mL-loaded gel (20% during 10 h). 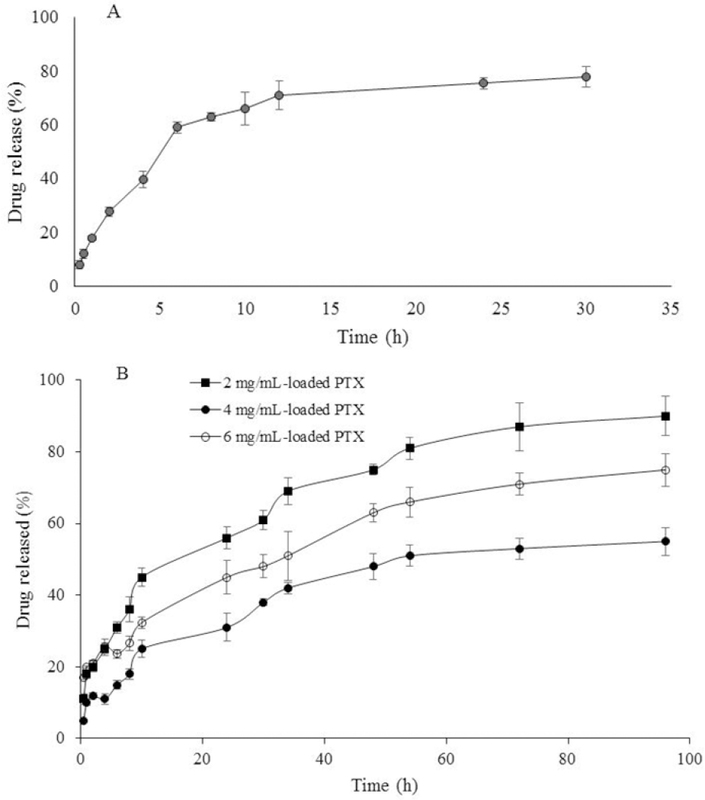 Figure 6: In vitro release profiles of (A) doxorubicin (DOX) from DOX/paclitaxel (PTX)-loaded Pluronic F127/hyaluronic acid (PF127/HA) with 4 mg/mL-loaded PTX and (B) PTX from DOX/PTX-loaded PF127/HA with 2 mg/mL-loaded PTX, 4 mg/mL-loaded PTX, and 6 mg/mL-loaded PTX. The DOX/PTX-loaded hydrogel existed as a low viscous solution during one month of storage at 4 °C, while after three months the viscosity of the solution was significantly increased to 6000 cP at 4 °C. This implies that the solution of DOX/PTX-loaded hydrogel could not be stored for more than one month in refrigerator. The drug release studies from the hydrogel after one month storage, demonstrated complete release of DOX during 10 h, and 40% release of loaded PTX during 4 days from the hydrogel containing 4 mg/mL-loaded PTX (data are not shown). [Figure 7] shows the injection force required for injection of the hydrogel solutions into different sites. Injection into air required less injecting force because there was no resistance from air around the needle tip. In comparison to air, the subcutaneous tissues and muscles have limited physiological space thus provided some resistance toward the injection. As expected, injection into muscle needed the highest injection force. The injection force obtained 16-20 N indicating easily injected formulation. 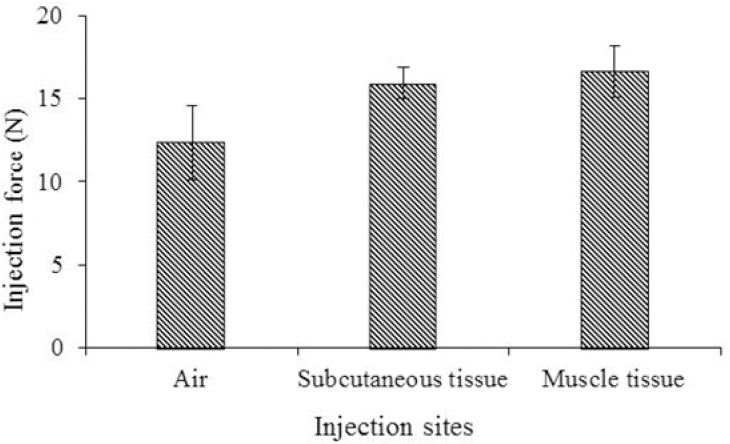 Figure 7: Comparison of injection force required for Pluronic F127/hyaluronic acid system containing paclitaxel (PTX) and doxorubicin (DOX) into different injection sites at room temperature. In the current study, a novel thermosensitive hydrogel formulation was prepared for localized simultaneous delivery of PTX and DOX in solid tumors. Combination chemotherapy can not only delay the cancer cell resistance and mutations, but also reduce drug side effects through decreasing the dose of each drug and achieving synergistic therapeutic efficacy. Recently, many nanocarrier delivery systems have been developed for co-delivery of different agents, such as micelles ,, liposomes , and nanoparticles ,. Although clinical studies have demonstrated the synergistic effect of DOX and PTX, the co-delivery of DOX and PTX has rarely been investigated. DOX is commonly used as a hydrophilic hydrochloric salt while PTX is a highly lipophilic agent and the co-delivery of drugs with distinct water solubility is not easy to achieve. Wang, et al. developed amphiphilic methoxy PEG-PLGA (poly lactic-co-glycolic acid) copolymer nanoparticles through a double emulsion method as carriers for co-delivery of DOX and PTX. Although the formulation exhibited a synergistic antitumor effect in vitro, the stability of such a double emulsion system with uncharged PEG-PLGA polymer and cationic DOX molecule is not certain. The above-mentioned study was still lacking of adequate data to prove the in vivo feasibility of their co-delivery system. In another similar study an amphiphilic tri-block copolymer, methoxy poly (ethylene glycol)-b-poly(L-glutamic acid)-b-poly(L-lysine), decorated with deoxycholate (mPEG-b-PLG-b-PLL/DOCA) was synthesized for co-delivery of PTX and DOX . The anionic poly (glutamic acid) provided the strong electrostatic interaction with cationic DOX and the hydrophobic modified PLL component served as a reservoir for PTX. Ma et al. developed pH-sensitive polymeric micelles for co-delivery of DOX and PTX. At first DOX was conjugated to chitosan via a pH sensitive linker and then PTX was physically loaded into the core of micelles. In another study  PTX was grafted to the mPEG-b-PLG by esterification to give mPEG-b-PLG-g-PTX. Then, DOX was encapsulated through electrostatic interaction and hydrophobic stack between the DOX and mPEG-b- PLG-g-PTX in aqueous solution. In all aforementioned studies, chemical syntheses have been used which are complicated processes and expensive in large-scale production. A key point for successful combination therapy is to design simple co-delivery systems. In the current study we developed a simple formulation for co-delivery of PTX and DOX through intra-tumoral injection, while previous studies have focused on systemic delivery of these two agents. Moreover, the presence of TPGS in our developed formulation would enhance the therapeutic outcome. Optimized PF127/HA system containing both PTX-loaded PF127/TPGS micelles and DOX existing in a solution state at room temperature could rapidly (in a minute) convert to a semisolid state at 35 °C. The viscosity of the solution was relatively low [Figure 3] allowing the formulation to pass very easily through the syringe needle. We also confirmed that freeze drying process did not affect the rheological behavior of the hydrogel. The cumulative drug release profile of PTX from PF127/HA hydrogel incorporated with PF127/TPGS micelles was slower than those of free micelles as expected. This was due to the additional barrier provided by the hydrogel to the rate of water permeation to the micelles, PTX dissolution and diffusion of PTX from the micelles. The release of PTX from the hydrogel was concentration-dependent. The higher drug loading, the slower was the release rate. Since PTX-loaded micelles are being dispersed in the formulation and hence the drug requires dissolution prior to diffusion from the gel. Moreover, increasing the concentration of the micelles in the hydrogel could contribute to the instability and dissociation of the micelles and consequently the precipitation of PTX in the hydrogel. In some other similar studies using hydrophobic drugs, increasing the initial drug loading decreased the drugs release rates . Degradation rate of the hydrogel is also an important property because it determines the stability of the hydrogel in aqueous media. PF127/HA exhibited resistance against mass erosion and maintained 75% of its original weight for more than 5 days. In the current study a novel thermo-sensitive hydrogel system for intra-tumoral administration of PTX and DOX was developed. PTX-loaded PF127/TPGS mixed micelles were successfully prepared and incorporated into the PF127/HA hydrogel previously containing DOX. The hydrogel engrafted with PTX and DOX provided a low viscosity solution at room temperature which rapidly converts to a semisolid gel at 35 °C. The hydrogel incorporated with micelles showed a controlled release of PTX and DOX with superior in vitro gel stability. The described injectable drug delivery system might have great potential application for local delivery of PTX and DOX in solid tumors. The content of this paper is extracted from the Pharm.D thesis (NO. 395928) submitted by Elham Amuaghae which was financially supported by the Research Department of Isfahan University of Medical Sciences, Isfahan, I.R. Iran. Dear RF, McGeechan K, Jenkins MC, Barratt A, Tattersall MH, Wilcken N. Combination versus sequential single agent chemotherapy for metastatic breast cancer. Cochrane Database Syst Rev. 2013:18(12). DOI: 10.1002/14651858.CD008792. Wang H, Zhao Y, Wu Y, Hu YL, Nan KH, Nie GJ, et al. Enhanced anti-tumor efficacy by co delivery of doxorubicin and paclitaxel with amphiphilic methoxy PEG-PLGA copolymer nanoparticles. Biomaterials. 2011;32(32):8281-8290. Xiao H, Song H, Yang Q, Cai H, Qi R, Yan L, et al. A prodrug strategy to deliver cisplatin (IV) and paclitaxel in nanomicelles to improve efficacy and tolerance, Biomaterials. 2012;33(27):6507-6519. Gupte A, Ciftci K. Formulation and characterization of Paclitaxel, 5-FU and Paclitaxel + 5-FU microspheres. Int J Pharm. 2004;276(1-2):93-106. Saad M, Garbuzenko OB, Minko T. Co-delivery of siRNA and an anticancer drug for treatment of multidrug-resistant cancer. Nanomedicine. 2008;3(6):761-776. Taratula O, Kuzmov A, Shah M, Garbuzenko OB, Minko T. Nanostructured lipid carriers as multifunctional nanomedicine platform for pulmonary co-delivery of anticancer drugs and siRNA. J Control Release. 2013;171(3):349-357. Zhang C, Qu G, Sun Y, Wu X, Yao Z, Guo Q, et al. Pharmacokinetics, biodistribution, efficacy and safety of N-octyl-O-sulfate chitosan micelles loaded with paclitaxel. Biomaterials. 2008:29(9):1233-1241. Qu G, Yao Z, Zhang C, Wu X, Ping Q. PEG conjugated N-octyl-O-sulfate chitosan micelles for delivery of paclitaxel: In vitro characterization and in vivo evaluation. Eur J Pharm Sci. 2009:37(2): 98-105. Gardner ER, Dahut W, Figg WD. Quantitative determination of total and unbound paclitaxel in human plasma following Abraxane treatment. J Chromatogr B Analyt Technol Biomed Life Sci. 2008: 862(1-2):213-218. Wolinsky JB, Colson YL, Grinstaff MW. Local drug delivery strategies for cancer treatment: gels, nanoparticles, polymeric films, rods, and wafers. J Control Release. 2012;159:14-26. Dhanikula A.B, Panchagnula R. Development and characterization of biodegradable chitosan films for local delivery of paclitaxel. AAPS J. 2004:6(3):e27. Elstad NL, Fowers KD. OncoGel (ReGel/paclitaxel)-clinical applications for a novel paclitaxel delivery system Adv Drug Deliv Rev. 2009;61(10):785-794. Bajaj G, Kim MR, Mohammed SI, Yeo Y. Hyaluronic acid-based hydrogel for regional delivery of paclitaxel to intraperitoneal tumors. J Control Release. 2012:158(3):386-392. Westpha M, Hilt DC, Bortey E, Delavault P, Olivares R, Warnke P, et al. A phase 3 trial of local chemotherapy with biodegradable carmustine (BCNU) wafers (Gliadel wafers) in patients with primary malignant glioma. Neuro Oncol. 2003:5(2):79-88. Pradilla G, Wang PP, Gabikian P, Li K, Magee CA, Walter KA, et al. Local intracerebral administration of Paclitaxel with the Paclimer® delivery system: toxicity study in a canine model. J Neurooncol. 2006;76(2):131-138. Colson YL, Liu R, Southard EB, Schulz MD, Wade JE, Griset AP, et al. The performance of expansile nanoparticles in a murine model of peritoneal carcinomatosis, Biomaterials. 2011;32(3):832-840. Hoffman AS. Hydrogels for biomedical applications. Adv Drug Deliv Rev. 2012;64:18-23. Ahmed F, Pakunlu RI, Brannan A, Bates F, Minko T, Discher D. Biodegradable polymersomes loaded with both paclitaxel and doxorubicin permeate and shrink tumors, inducing apoptosis in proportion to accumulated drug. J Control Release. 2006;116(2):150-158. Al-Abd AM, Hong KY, Song SC, Kuh HJ. 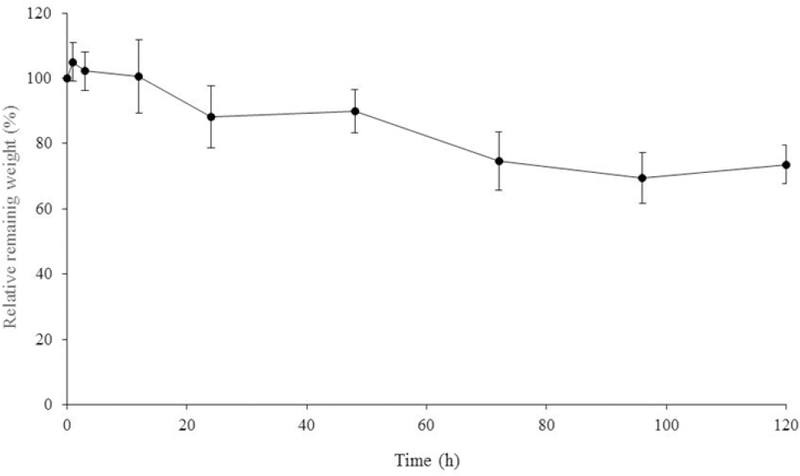 Pharmacokinetics of doxorubicin after intratumoral injection using a thermosensitive hydrogel in tumor-bearing mice. J Control Release. 2010;142:101-107. Sledge GW, Neuberg D, Bernardo P, Ingle JN, Martino S, Rowinsky EK, et al. Phase III trial of doxorubicin, paclitaxel, and the combination of doxorubicin and paclitaxel as front-line chemotherapy for metastatic breast cancer: an intergroup trial (E1193). J Clin Oncol. 2003;21(4):588-592. Mavroudis D, Kouroussis Ch, Kakolyris S, Agelaki S, Kalbakis K, Androulakis N, et al. Phase I study of paclitaxel (taxol) and pegylated liposomal doxorubicin (caelyx) administered every 2 weeks in patients with advanced solid tumors. Oncology. 2002;62(3):216-222. Zhang Z, Tan S, Feng SS. Vitamin E TPGS as a molecular biomaterial for drug delivery. Biomaterials. 2012;33(19):4889-4906. Emami J, Rezazadeh M, Rostami M, Hassanzadeh F, Sadeghi H, Mostafavi A, et al. Co-delivery of paclitaxel and α-tocopherol succinate by novel chitosan-based polymeric micelles for improving micellar stability and efficacious combination therapy. Drug Dev Ind Pharm. 2015;41(7):1137-1147. Youk HJ, Lee E, Choi MK, Lee YJ, Chung JH, Kim SH, et al. Enhanced anticancer efficacy of alph-tocopheryl succinate by conjugation with polyethylene glycol. J Control Release. 2005;107:43-52. Lee Y, Chung HJ, Yeo S, Ahn CH, Lee H, Messersmith PB, et al. Thermo-sensitive injectable, and tissue adhesive sol-gel transition hyaluronic acid/pluronic composite hydrogel prepared from bio-inspired catechol-thiol reaction. Soft Matter. 2010;6:977-983. Yang Y, Wang J, Zhang X, Lu W, Zhang Q. A novel mixed micelle gel with thermo-sensitive property for local delivery of docetaxel. J Control Release. 2009;135(2):175-182. Kim MR, Park TG. Temperature-responsive and degradable hyaluronic acid/pluronic composite hydrogels for controlled release of human growth hormons. J control Release. 2002;80(1-3):69-77. Emami J, Rezazadeh M, Mashayekhi M, Rostami M, Jahanian-Najafabadi A. A novel mixed polymeric micelle for co-delivery of paclitaxel and retinoic acid and overcoming multidrug resistance: synthesis, characterization, cytotoxicity, and pharmacokinetic evaluation. Drug Dev Ind Pharm. 2017:1-12. DOI: 10.1080/03639045.2017.1411940. Rungaseevijitprapa W, Bodmeier R. Injectability of biodegradable in situ forming microparticle systems (ISM). Eru J Pharm Sci. 2009;36(4-5):524-531. Ke XY, Lin Ng VW, Gao SJ, Tong YW, Hedrick JL, YangYY. Co-delivery of thioridazine and doxorubicin using polymeric micelles for targeting both cancer cells and cancer stem cells. Biomaterials. 2014;35(3):1096-1108. Patel NR, Rathi A, Mongayt D, Torchilin VP. Reversal of multidrug resistance by co-delivery of tariquidar (XR9576) and paclitaxel using long-circulating liposomes. Int J Pharm. 2011;416:296-299. Lv S, Tang Z, Li M, Lin J, Song W, Liu H, et al. Co-delivery of doxorubicin and paclitaxel by PEG-polypeptide nanovehicle for the treatment of non-small cell lung cancer. Biomaterials. 2014;35(23):6118-6129. Ma Y, Fan X, Li L. pH-sensitive polymeric micelles formed by doxorubicin conjugated prodrugs for co-delivery of doxorubicin and paclitaxel. Carbohydr Polym. 2016;137:19-29. Li Q, Lv S, Tang Z, Liu M, Zhang D, Yang Y, et al. A co-delivery system based on paclitaxel grafted mPEG-b-PLG loaded with doxorubicin: Preparation, in vitro and in vivo evaluation. Int J Pharm. 2014:471(1-2):412-420. Ruel-Gariepy E, Shive M, Bichara A, Berrada M, Le Garrec D, Chenite A, et al. A thermosensitive chitosan-based hydrogel for the local delivery of paclitaxel. Eur J Pharm Biopharm. 2004;57:53-63.